To celebrate Life on Purpose’s 75th Episode, Dan Millman returns to the show! In this inspiring conversation, we discussed his brand new book, The Hidden School (Simon and Schuster), the long-awaited conclusion to the Peaceful Warrior saga. Dan takes readers on an epic spiritual quest across the world as he searches for the link between everyday life and transcendent possibility. 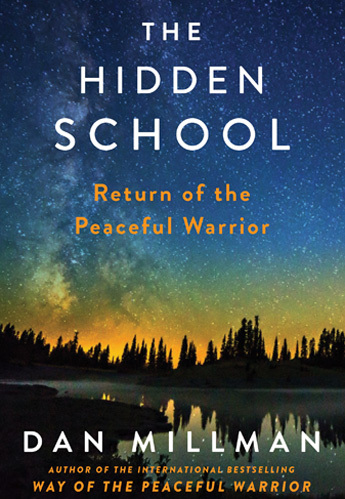 Dan talks with John about his latest book, THE HIDDEN SCHOOL: Return of The Peaceful Warrior. Join Drew Taddia on Exploring Mind and Body as he interviews world renowned author and speaker Dan Millman on his new book, The Hidden School!